Twin Peaks Digital professional equipment list. *Any camera package or special equipment is also available. 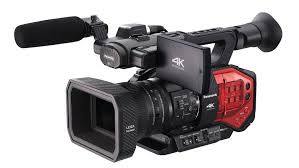 2 Panasonic AG-DVX200 4K camcorders with Four-Thirds Sensor and Integrated Zoom Lens for more traditional video requirements. 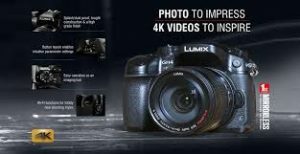 1 Panasonic GH5 and 1 GH4 DSLM 4K interchangeable lens cameras. The large Four-Thirds Sensor offers a shallow depth of field for a soft background, cinematic-look. 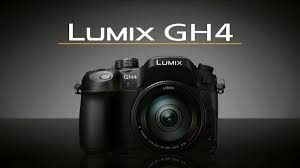 Packages may include Leica/Lumix f2.8 24-70 and 70-200 lenses, follow focus, DVTec Multi-Rig Pro, 7″ iKan HD on-board monitor, Rode Videomic Pro. 3 Sennheiser MK66 boom mics, pole, wind sock, XLR cables, stands. 3 Sennheiser AK100 wireless lavalier mic systems, 1 wireless boom mic transmitter. 4 Tripod systems including Miller Compass 15 with 2 Varizoom remote controls – zoom, focus, and iris. DVTEC Multirig Pro – Provides shoulder mount, handheld, fig rig style, low hat. 1000 and 500 watt Rifa softboxes, 2-1000 watt DP lights, 250 watt Pro light, 500 watt Tota. 2 PAG light ENG on board lighting kits. 7 stands, various reflectors, gels, flags, cables, etc. 7″ Ikan VK7i HD ac/dc monitor. 5′ x 7′ portable Green/bluescreen. 10′ x 12′ pure white backdrop. 17″ Powerbook laptop w/teleprompter software. Special Equipment: Additional costs may apply. 11′ Skycrane Jr. jib arm with HD monitor, heavy-duty tripod, remote control with zoom, focus, and iris. $150. 10′ x 20′ portable foam backed greenscreen and support. $100. Rhino Slider Dolly, with heavy-duty tripod and fluid head and pulley $50. Available for larger productions: Additional costs may apply. Any camera package is available via rental house. 2 or 5 ton lighting and grip packages with various dollies, track, mounts, crew.